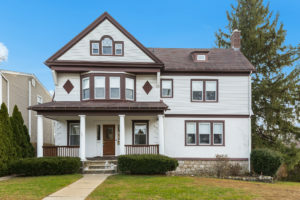 In the heart of Bronxville, this Victorian gem offers an ideal location that is literally steps from everything your family will want including Bronxville School, Metro North and an array of shops, restaurants and entertainment. A welcoming front porch greets you with the original oak Dutch door. Enter into a gracious foyer with bay window, living room, dining room with fireplace, powder room and an eat in kitchen. Walk in closets, oversized bathrooms, plenty of storage space-what more could you ask for? Bronxville is a unique village offering a walking lifestyle that is the perfect choice following life in the City. There are great restaurant options from casual to full service, Soul Cycle, Pure Barre, Starbucks and all the services that you expect including a European style patisserie!. Ideally located Crestwood home is on the market for the first time in over 50 years. Over 3,100 square feet of living area, there is room for everyone. Only 3 blocks to the Crestwood station of Metro North and one block to the Crestwood Library. There is an impressive entry foyer that opens to a large living room with herringbone floors and a fireplace; there are French doors to a formal dining room. A beautiful waiting for its next long term family! Move right in to this bright, freshly painted two bedroom coop located in North Riverdale. Newly finished hardwood floors and Eat-in-Kitchen. Located just minutes from shops, restaurants, and the Riverdale Neighborhood House pool. One block from the city bus, and a 15 minute walk to the Riverdale Metro North train station; just 30 minutes to Grand Central. Spacious Tudor Arms Co-op ideally located on the top floor of this classic prewar elevator building. There is a gracious entry, a large living room, an updated eat in kitchen, two generously sized bedrooms, and an updated bath. The apartment has 9 foot ceilings, picture moldings, cedar lined closets, french doors in the living room, and oak hardwood floors with mahogany trim. An on-site gym for residents and a recently renovated inner courtyard, add to the reasons why you will love living at the Tudor Arms. 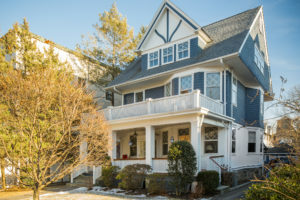 You are just a five minute walk to the shops and restaurants in Bronxville Village as well as the Bronxville Metro North station. Let one of our knowledgeable agents help you buy or sell your next home-be it a House, a Condo or a Co-op! Houlihan & O’Malley works with you through it all.